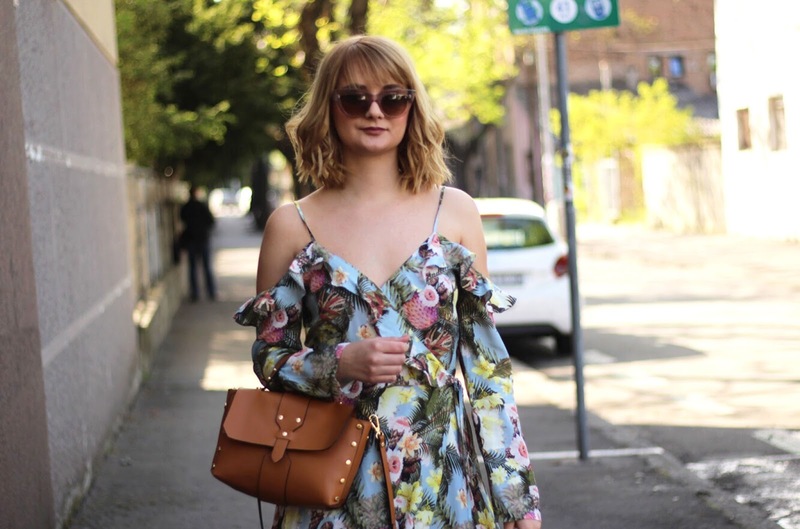 It's been a while since I published a last post with blogging tips. I guess it's time to get back to them. I wanted to talk with you about how to achieve that modern look on your blog. It's really important to keep your theme up to date and I will try to help you with it! ➳ Keep it minimal and fresh. You want your blog to look nice and clean. Newbies often put everything in their blog. All social media icons, banners, slideshows, literally everything! As well with crazy and bold colors. You don't want any of that. You want it to be nice and clean and most important: functional. Remove all the widgets you don't need or the ones that are slowing your blog down, as well as all social media tabs you don't need (one set of buttons is enough, you don't need a bunch of others). If you are on a Blogger platform, make sure to remove blogger navigation bar, it doesn't do anything for you and it makes your blog look old. ➳ Buy a new theme for your blog. Use more white space! There is so many places to buy cheap, responsive themes. My favourite one is Etsy. Remember, you want to have a lot of white space, you want it to be functional and you need to add a personal touch to it. Don't go crazy with it, keep it minimal and don't complicate it, people hate that. ➳ Buy a domain for your blog. If you want to make your blog look more proffesional, buy a domain for it (.com, .rs or .net). It looks and sounds better. You want your blog to look that good that people need to think from which platform it is. I would suggest you to avoid themes with sidebars, because you can easily tell on which platform it is. Not just that, most of the blogs have it and they look pretty much the same. You want to be different, so people can remember you. ➳ Don't use ads all over the blog! This is a tacky one. I personally don't like seeing ads all over the blog. I don't think it's aesthetically pleasing and I hate when it's popping out while I'm reading a post. I can handle them on the sidebars, but at the top of the post or in the middle of it, I really can't handle it. So make sure to know what your audience thinks and try to keep the balance. ➳ Resize your images before uploading them, so blog can run faster. This one is a techy one, but it's really really important! If you want your blog to be faster you need to make your image smaller. You need to resize them everytime you want to publish them on the blog. It's not really a big thing, I'm sure you are already adjusting them a bit in the PS so don't forget to make them smaller. I'm not going under the 2400 x 1600 or vice verca. I recently discovered option in PS where you can save your picture for the web in that way colors will appear the same as in the Photoshop! Insane, right. ➳Don't use childish fonts! If you want your blog to look professional and modern you need to forget childish fonts. You don't want anything to stand out too much (in a bad way). You don't want letters to be in some crazy colors or to have trouble reading the text because people will leave your blog immediatly. It's really hard to get attention from other people so when you get it make it worth their time! What are your tips for making blog more modern and proffessional? Totally Agree with you and with your Tips, I love to keep my Blog simple as well. This post was very helpful! I'm going on Etsy right now to see what new theme I can get. Thank you sooo much for this post! And nice blue jean jacket by the way! All of these tips you shared definitely have worked for me! When I first started blogging, I had crazy colors and a ton of ads on my blog, not knowing any better, and when I switched to a minimalist design, my blog really started to grow. Your tips will definitely help those just starting out, or even blogger vets that don't know any better like I didn't! What a great post, I totally agree with you on not having too many ad's all over your blog. I like to keep mine simple. Having your own domain for your blog is something I need to do. Enjoy your Easter love. These are great tips! I agree that everything should be minimal and fresh. You don't want to distract your readers! You also look gorgeous in your pics. Wow ! I absolutely needed this post ! I love what you said about not being distracting and using white space! I need to save this post to look back at and also share. Thank you so much !! All great tips Ana. I have my partner who builds changes to our site, making sure to research coding for whatever is on my wish list. Though, he is behind at the moment because we worked on some design updates in January and I have yet to see him work on them. Anyway, one thing he insisted upon is that I don't have centred text, because it is challenges the eye, discouraging people from reading. They can easily get the lines of text mixed up, so all of our text is from the left. For me I think it reads clearer. Great tips! Keeping it minimal and clutter-free are absolute musts if you want to keep someone on your page! Super cute outfit btw. thanks for this!! i personally hate seeing too many ads on blogs, it looks really tacky. I am just learning about using fonts that don't stand out too much, funny cause before i wanted the other way round. I also try to use more white space. Since I follow all these, I hope I'm good to go haha :) Thanks for the tips, and of course your blog looks amazing! 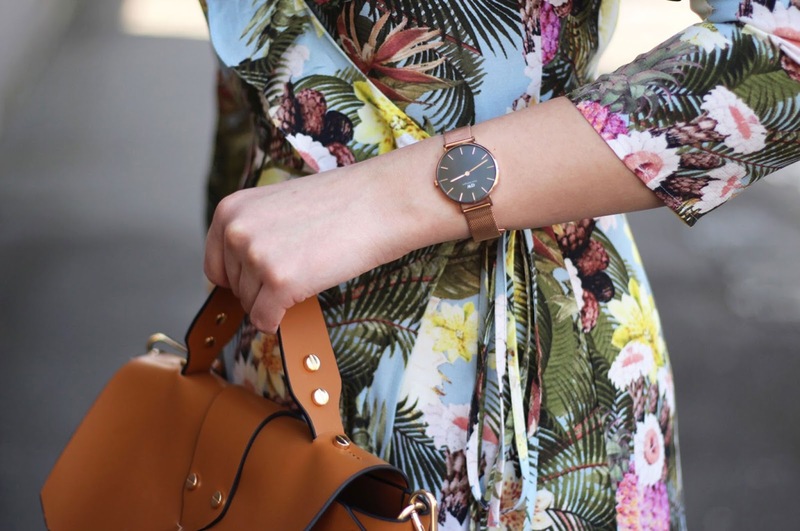 I love this dress you are wearing too! this is great advice - I'd second the clean look and feel, as someone who has spent a lot of time working with designers and web developers over the years I cannot tell you how many people are afraid of white space. It is a good thing and should be embraced. I agree with all your tips and must compliment you on a clean, edgy and classy blog! I think as a newbie you want to scream "I'm here" and that's why you use all those colors and weird fonts, but after a time it gives you a headache for sure and you'll get weary of it. Ads are tricky however. I have my own platform, so I don't need to think about those, but if a company wants to place a banner I sure as heck wouldn't have it popping up every here and there as that would turn me as a reader away. Really great tips. I definitely like to make my images a certain size so it doesnt take forever to load. Usually pages that take longer than a few seconds, I always tend to leave. Great tips! I started my blog in January and I'm always looking for ways to improve. I never thought about resizing my photos before I upload them, but that totally makes sense! They're always super huge when I get them loaded into a blog post! Great information! I just started my blog and find this helpful. Thank you! Very practic tips I love the see minimal theme on the blogs, and I'm purchased on Themeforest now I think is better to change and search a new theme. For me the the sepped is very important and I trying always to analyze my blog. Thanks for the pictures resize tips, I make all by myself and really important to have quality resolutions. 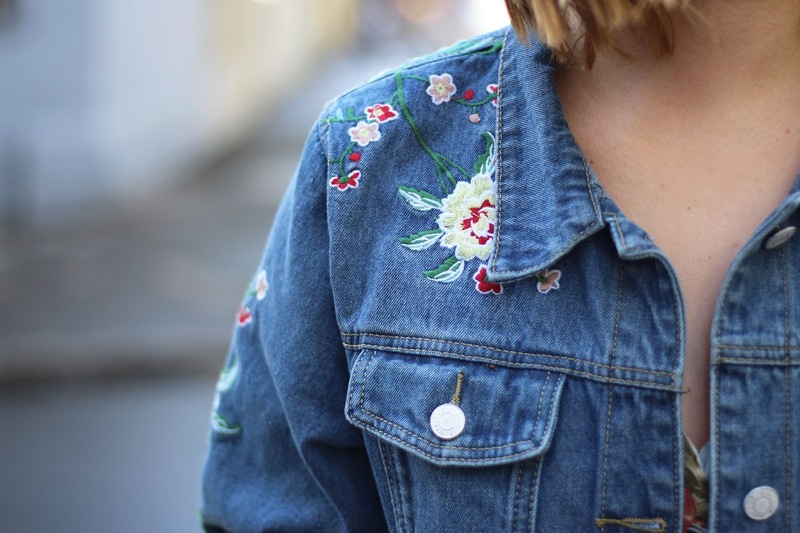 Love your dress and the embroidered jacket. So on point! Childish fonts drive me crazyyyy!! You're so right - minimal and fresh is the key! I thought I needed all these fancy themes and colors but when looking at my favorite blogs, I realized that I loved the clean, basic themes the best! That way, it doesn't take away from my photos. Awesome tips! I agree with you especially on the ads part! I hate when they pop up everywhere while I'm trying to read! love your tips! blogging can be so stressful sometimes! All of these tips are so on point! When I first started my blog I had this really horrible idea to make the background color this really shocking shade of yellow! I thought it looked peppy and happy, until I asked a developer to help me with a technical issue, and he was like, "Woah, that's a really bright shade of yellow!" I realized at that moment it was waaaay too much haha! Definitely agree with you on this! I can't stand seeing a blog with too much going on - ads, crazy fonts, colors, too many sidebars etc. Great tips! I learned really quickly that I hated ads on blogs, and removed them from my own! It looks so much cleaner and they really don't do much unless you have a huge following. These are great tips! Blogs that are too busy and full of pop ups and ads bug me to death. I prefer a clean blog. Yours looks great! Love these tips! I really hate it when there are ads everywhere too...especially the ones that pops out and you have to manually click out of, it takes the blog visiting experience negatively. I use some widgets that auto crunches the image to load faster that helps too! 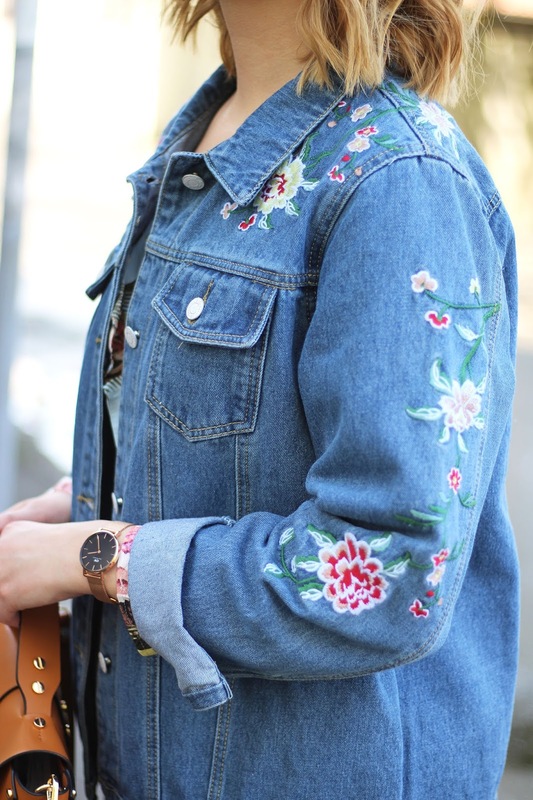 Love your outfit and the embroidery jacket! Yes! These are fantastic tips, and I love that outfit too. I agree with the minimal aesthetic. I like colors, but I need to figure out a way to make mine more minimal and user friendly. I agree that the ads are kind of cheesy. I love all your tips Ana! Thanks for sharing!